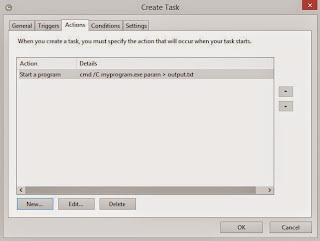 Windows tasks continue to be very handy especially for automating batch operations that do not require constant human attention. But even such operations may require occasional human interference to troubleshoot problems. Most of the Windows tasks execute command line programs that do not have graphical user interface but produce output in form of log files or console messages. While monitoring of log files can be relatively easy automated via different kinds of log collection services, the console output that is mostly meant for human eyes and could provide helpful information is usually lost as by default Windows task does not save console output anywhere. 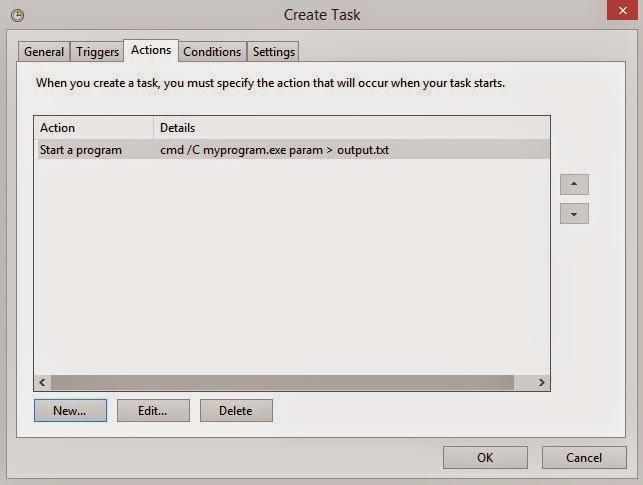 There is however a relatively easy way to save console output produced by a Windows task in a text file. Windows command line environment provides with a function to redirect standard program output to stdout or stderr to a file using redirection commands '>' or '>>'. The first one redirects that output to a file and replaces the file if it exists with a new version and the second one appends the output to a file if it exists. 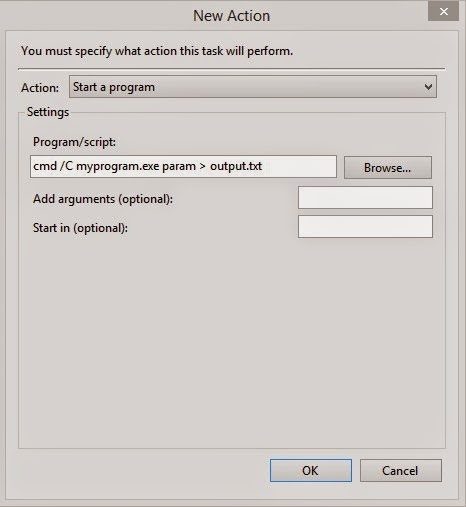 In the first example of direct calling a program Windows task will ignore output redirection and the entire output will not be saved. 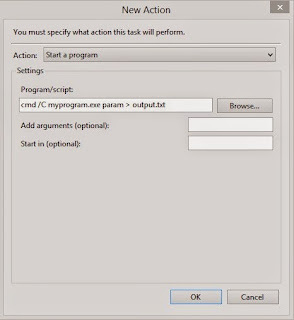 In the second example the redirection will be executed not by a Windows task but by a CMD shell instead and the output will be saved in a file.